Since the early 1980s, the Rocky Mountain Conservancy has assumed a leadership role in acquiring many important parcels of land, both in Rocky Mountain National Park and in the adjacent Arapaho-Roosevelt National Forest, and transferring the land to these federal agencies. Protecting land within and around the park requires preparation: being able to step forward when a willing seller places property on the market, while negotiating a fair purchase price or easement. Only land that is truly significant to the long-term benefit of the park or forest will be considered. 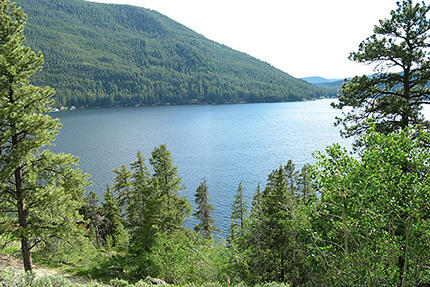 The 20-acre Fahy tract in the Kawuneeche Valley was purchased to protect the scenic viability of this beautiful valley on the park’s west side. 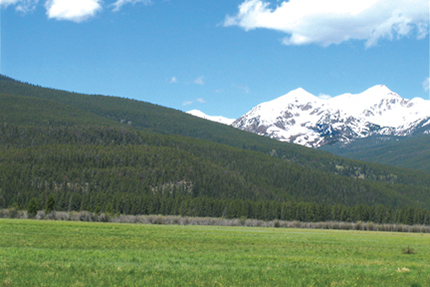 This 18-acre tract of land near Lily Lake was slated for condominium development. 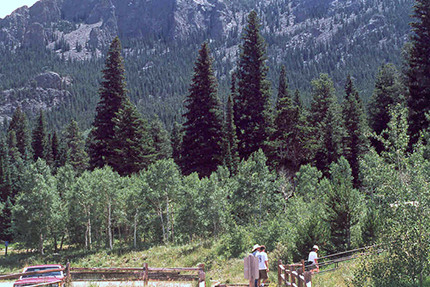 The Rocky Mountain Conservancy purchased the land to protect views and extend park boundaries. A significant parcel of land [40-acres] on Grand Lake was protected from development by purchase by the Rocky Mountain Conservancy - this land has been sold to the Forest Service for long term protection, and funds generated used for projects on the west side of RMNP.